Earlier today, the Spider-Man casting rumors were finally put to rest when Marvel announced Tom Holland as the new Peter Parker. Although Spidey will reportedly debut in Captain America: Civil War, Holland will for sure put on the red and blue tights for the Spider-Man solo film in 2017, which Jon Watts will direct. While it’s a relief that this guessing game is finally over, this is just an early chapter in the process of bringing the MCU Spider-Man to life. High on the list of things we will wonder about over the next couple years is who Holland’s Spider-Man will battle? Over five films in two continuities, moviegoers have seen Spidey fight a variety of adversaries from his iconic rogues gallery. It’s important that the filmmakers choose someone who is not only capable of being a worthy threat to the Web-Slinger, but can also stand out among the long list of MCU villains we’ve already seen. Fortunately, we already have ideas of people Marvel and Sony should look at, from characters that haven’t been seen in the movies yet to a new interpretation of a key villain. Here are our top picks of antagonists that should battle the Wall-Crawler in his next movie. Fans were introduced to Vincent D’Onofrio’s version of Wilson Fisk in Daredevil Season 1, but let’s not forget that before he was one of the Man Without Fear’s greatest enemies, Kingpin started out as a Spider-Man adversary. 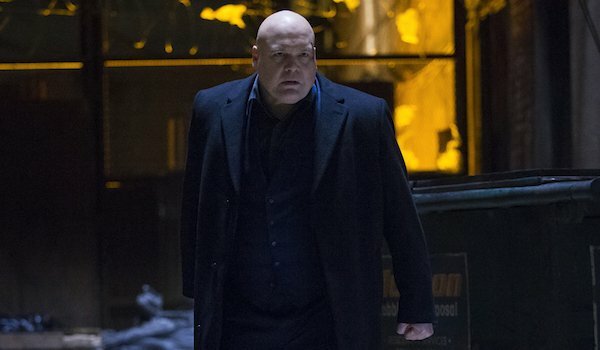 While it’s likely that Kingpin will remain an important figure in the Daredevil TV series, pitting Tom Holland’s Spider-Man against the character allows more interconnectivity between the MCU projects. In the solo film, Fisk needs to have gotten past his origin story and become the ruthless crime boss the comic book fans love, white suit and all. D’Onofrio has had a long and diverse film career, so he would certainly have a good presence within the film. Spider-Man foes in the movies have consisted of super villains and petty street criminals. Let him tangle with an organized crime figure. Adrian Toomes, a.k.a. 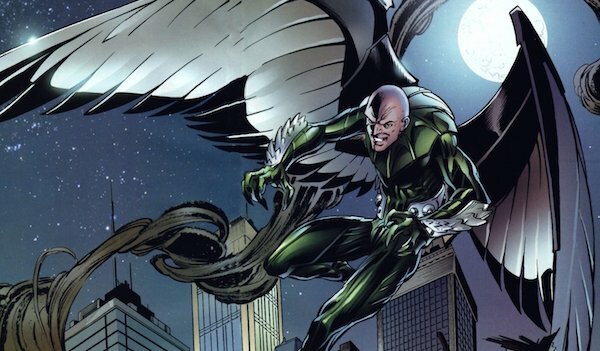 The Vulture, was originally planned to be the villain in Sam Raimi’s Spider-Man 4 before Sony decided to reboot the series. Now that another reboot is on the way, this is the best time to debut Vulture in live-action. Although the MCU is avoiding Peter Parker’s origin and setting him up as an established superhero, there’s been no word on if he’s fought a super villain yet. If not, Vulture would be a great way to ease young Peter into fighting colorful figures. Here we have an engineer who has created a wing harness (similar to The Falcon) that not only lets him fly at great speeds, but also increases his strength. Throw in talon gauntlets and various other gizmos attached to the harness, and Vulture provides an excellent challenge for the young (and perhaps still inexperienced) Spidey. 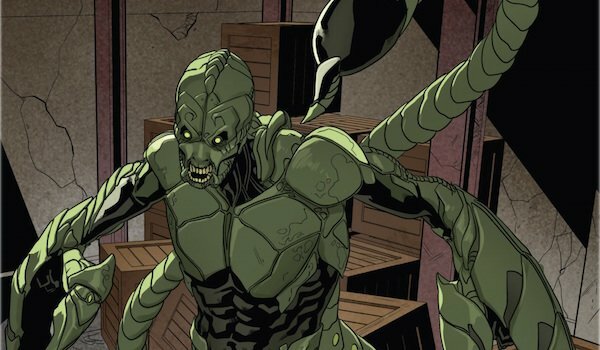 After being subjected to tests that boosted his physical abilities, Mac Gargan was given an armored battlesuit that had a powerful, prehensile tail attached. These genetic and robotic enhancements make him worthy of the name Scorpion. Over time, he’s looked less like a guy in a scorpion suit and more like an arachnid mutant (as seen above), but whether he looks normal or more monstrous, it’s about time to see Scorpion on the big screen. While it would be great to see Scorpion as a primary antagonist, the filmmakers could also use him similarly to how Rhino was used in The Amazing Spider-Man 2, where he’s a minor villain that Spider-Man fights, but not the main threat. That way he could return for another movie where he either remains a minor nuisance or has upped his game and is now main antagonist material. 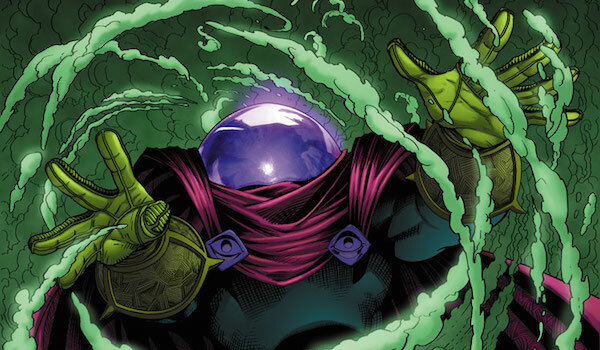 Mysterio is one of those super villains that doesn’t sound intimidating at first, but make no mistake, he’s given Spider-Man a run for his money many times over the decades. While physically he can’t match the Web-Slinger, Quentin Beck’s background in special effects, hypnotism, and chemistry allows him to create a variety of different illusions and gadgets that throw our webbed hero off his game, whether it’s experiencing a gut-wrenching hallucination or fighting weird robot adversaries. It’s difficult to fight someone when you’re not even sure they’re in front of you or real at all. 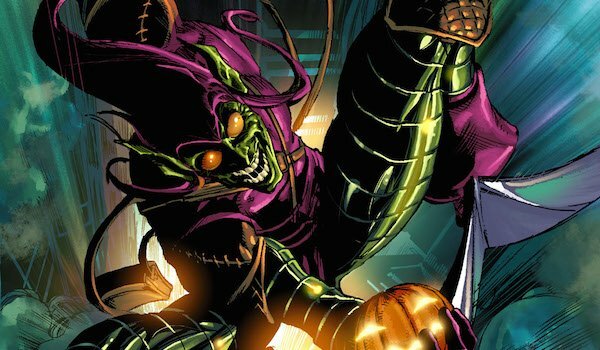 Adapt Mysterio for the big screen and you’re guaranteed a lot of crazy, psychedelic effects. Oh, and that fishbowl-topped costume? That’s just begging to be put into live-action, though obviously they would have to make some changes. So far we’ve seen two cinematic versions of Norman Osborn. First was Willem Dafoe’s memorable performance in 2002’s Spider-Man, and the second was Chris Cooper in 2014’s The Amazing Spider-Man 2, and the latter role was so minor that it’s barely worth mentioning. The MCU needs its own distinct Norman to antagonize the Wall-Crawler, and preferably one that emphasizes his business background directly, rather than just in the shadows like the Amazing Spider-Man films. While it would be great to see him as the green, cackling madman in the first film, depending on what the story is, they could just introduce him as the powerful industrialist who somehow supports the main antagonist. By the end of the movie his sanity could snap, setting him up as the Green Goblin for a future Spidey movie. Either way, let’s just hope that this Norman’s costume looks better than the one Dafoe wore, i.e. less plastic-y and more deranged.